Again! 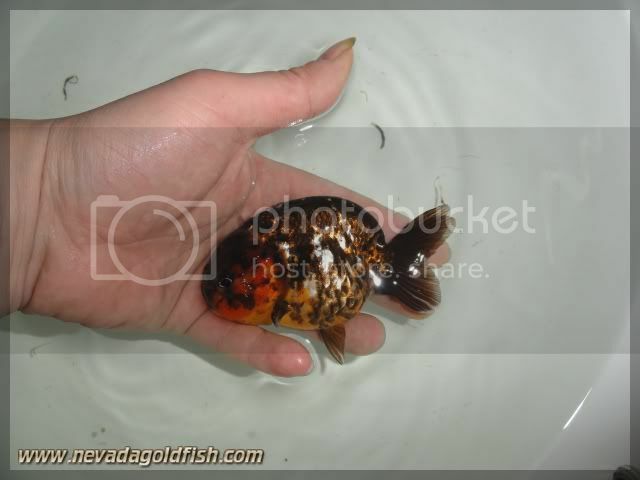 This is Ranchu with unique coloration too, brought to you by Nevada Goldfish. 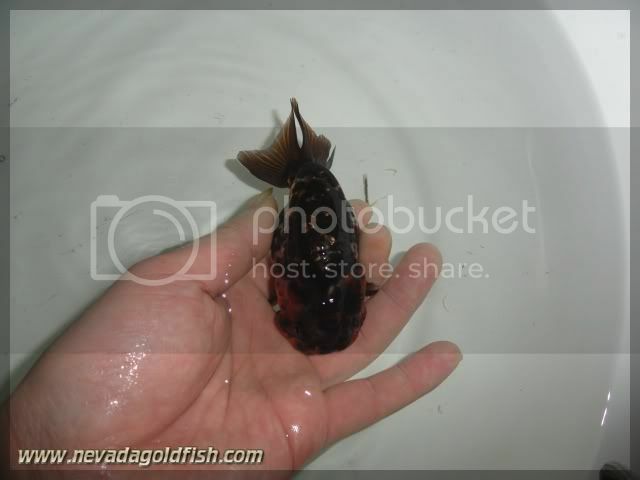 This is Chocolate Base Calico. In China, some people calls it as Purple Colour. 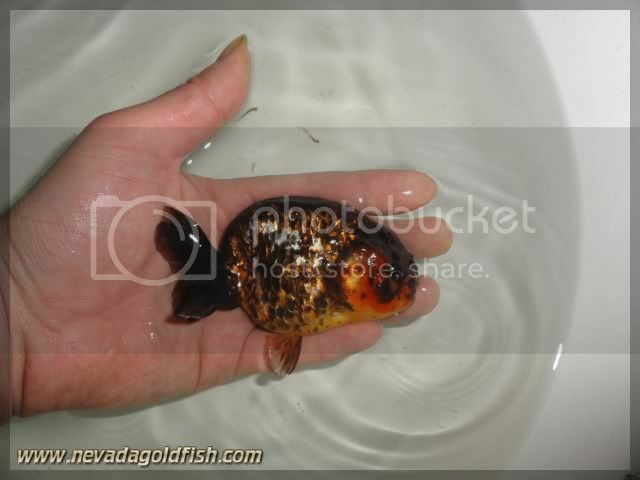 RAN035 is such a muscular Ranchu with glade habit. She is interesting for eyes.